Facebook ads have become a big part of marketing strategies for many online and local businesses. But, if you’re just getting started with running Facebook ads in your business, you may be faced with a little sticker shock. 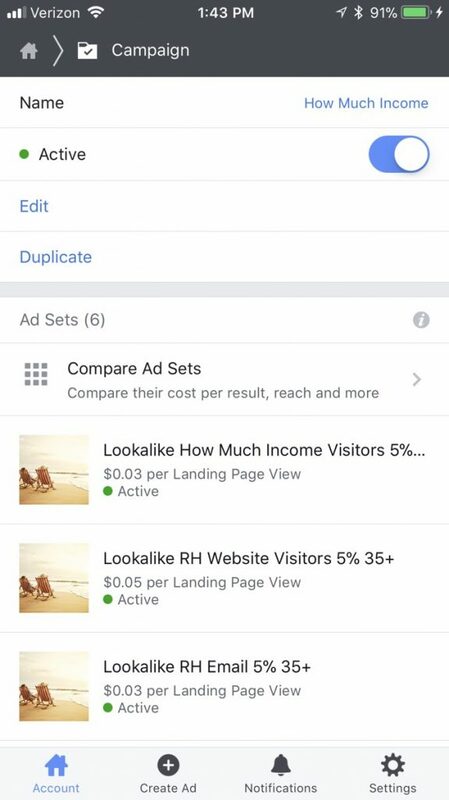 Even though the cost to test Facebook ads is low at less than $5 per day to get started, if you’re testing multiple variables at once, those $5 fees can add up quickly. Luckily, not everything related to Facebook ads is pay-to-play. 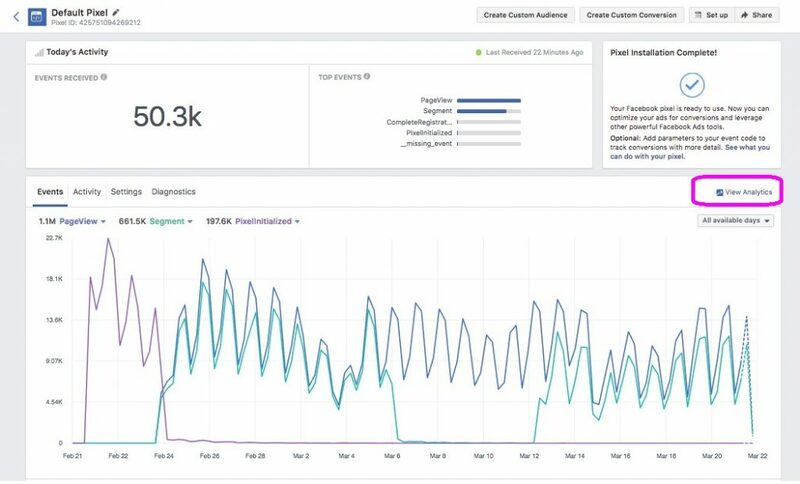 Here are a few Facebook ad analytics tools that are totally free, and they can help you make sure your ads are successful! If you’ve run Facebook ads, you may already know that having too much text in your ad image can have a negative impact on your ad’s reach. Not sure how much text is too much? 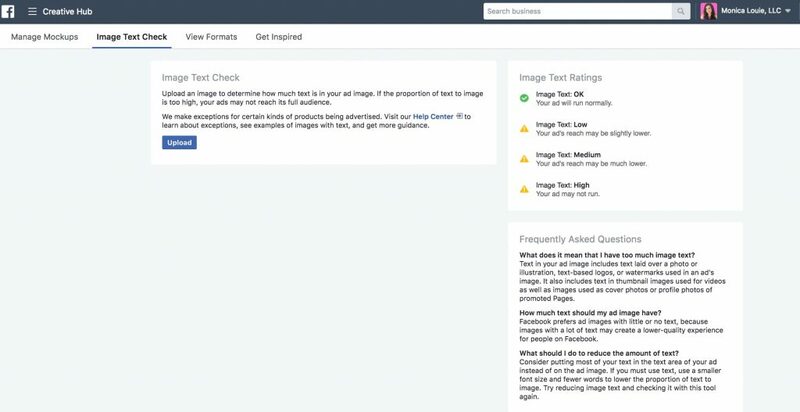 Use the free Image Text Check tool on Facebook to find out if your image is okay to use and how it may affect the performance of your ad. It’s also important to note that having text in your image not only applies to a text overlay, but also any text-based logos in the image itself. Fresh out of ideas for your Facebook ads? Visit the Creative Hub to get new inspiration from other brands and companies who have created ads for Facebook and Instagram. This tool also lets you create and preview Facebook ad creatives in all available ad formats, such as a single video ad, a slideshow, etc. You can also save your work and return to it later, which is a handy feature if you’re not quite ready to publish your ad. The Creative Hub also allows team to collaborate on ads via the Business Manager. Or you can generate a URL to your mock ad. You can send this to clients and team members for them to preview what it will look like when it’s live. Finding the right audiences to target with your Facebook ads is one of the most important steps in the Facebook ads process. If you’re not targeting the right audiences, you’re wasting money. You’ll be showing your ads to the wrong people who won’t be interested in your offers or what you have to say. That’s why the Audience Insights tool is so important for marketers to use to learn more about their target audience and what they’re interested in. The Audience Insights tool can provide demographic information, geography, purchase and financial behavior, and more. With Audience Insights, you can view information about those who like your Facebook page. You can also see the same information for people on Facebook in general, as well as people in Custom Audiences you’ve already created — such as your email list or your website visitors. Every time you create a new Facebook ad creative, it gets filed under Facebook’s Page Posts tool. 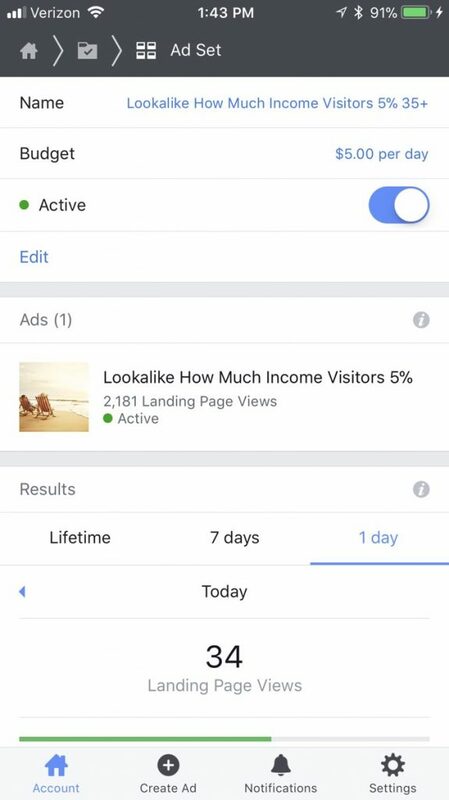 When you visit Page Posts in the Ads Manager, you’ll be able to see your Facebook page’s Published Posts, Scheduled Posts, and the Ads Posts for your page. The Ads Posts are the ones that you’ve used exclusively for Facebook ads, so they wouldn’t appear on your actual Facebook page to get organic engagement. However, they do get extra organic engagement the more people comment, like, and share your post. This is also called social proof. To build extra social proof on your Facebook ad posts, you can use the Page Posts tool to pull in a post when you are duplicating a Facebook ad set to test different audiences with the same ad creative. The Page Posts tool is also helpful for gauging engagement on various posts. If you notice one of your published posts on your page is getting great engagement, you can use the post ID found in the Page Posts tool to pull it in to create a Facebook ad campaign. 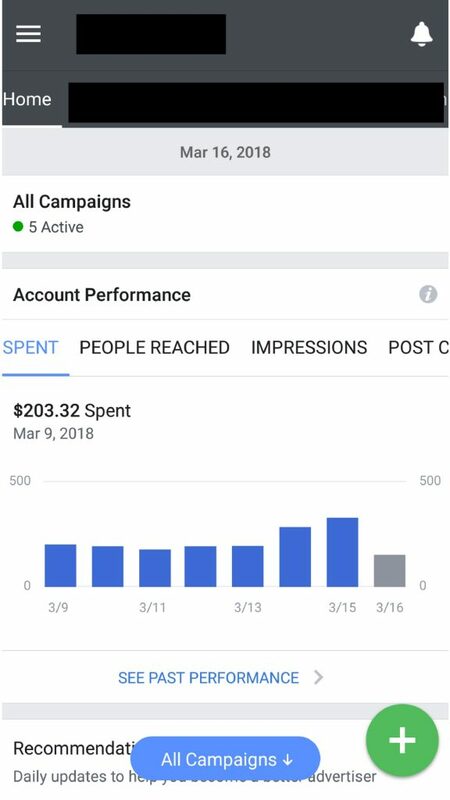 Since Facebook ads are my business, I spend quite a bit of time checking in on them for my coaching and ads management clients. But, if you’re managing your own Facebook ads, you may not always have time to monitor them as much as I do. This is where Facebook’s Automated Rules may come in handy. 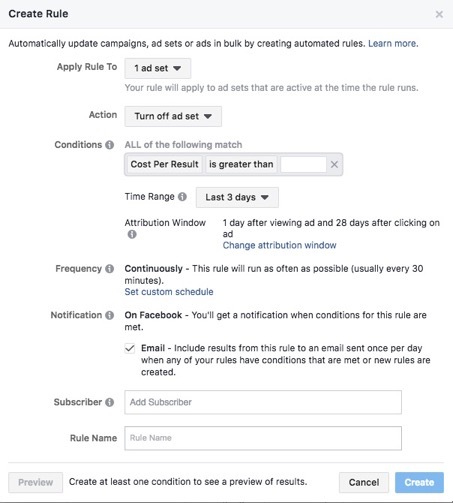 With automated rules, you can create rules in Ads Manager to notify you of changes to your campaigns, ad sets, or individual ads. You can set conditions for your rules, which is what will trigger a select action. For example, if you want your traffic campaign to stay under $0.10 per click, you can set this as a condition. If your ad sets go over this amount, you can set a specified action. 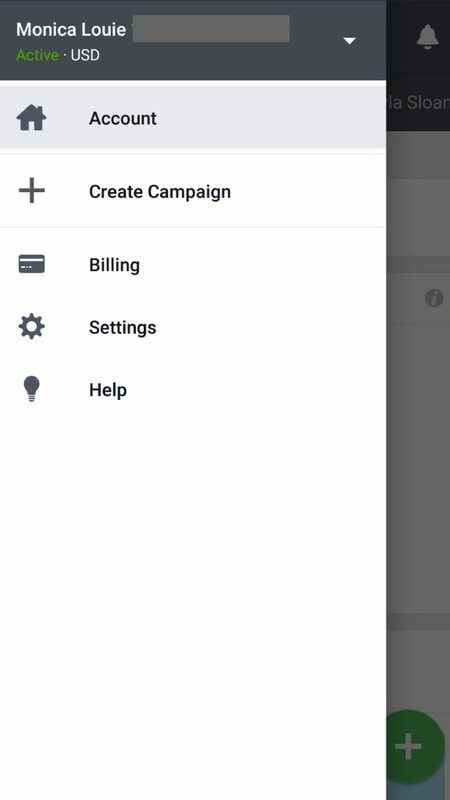 This may be to have Facebook send you a notification, to have Facebook adjust the daily budget on your ad set, or even to have Facebook automatically turn off your ad set. If you’re not already using the Facebook Pixel, you should be! The Facebook Pixel is the key to gathering data to make your Facebook ad campaigns the best they can be. The Facebook Pixel can collect and analyze information not only about how many visitors and conversions you have, but also who is visiting your website or certain landing pages, who and what they may be clicking from that webpage, and even who is opting in to your email list or purchasing your products. To see the more detailed information, click on “View Analytics” as shown above. In the analytics from your pixel, you can get insights about everyone who visits the sites and pages where you pixel is active. Facebook also recently introduced Automated Insights which can tell you fun facts about your users, such as “Retention is higher for people in Texas.” This information can also be found in Google Analytics, but Facebook makes it faster and easier to see without having to drill down into several levels of data. With this analytics information, you can better optimize campaigns to ensure that your ads are being shown to those who are more likely to click and/or opt in! This will help you get even more traffic or conversions at a lower cost! Even if you’re not quite ready to run and Facebook ad campaigns, you should still install the Facebook Pixel as soon as possible to begin gathering this data. That way, whenever you are ready, you’ll already have information to create your first audiences and optimize your campaigns. 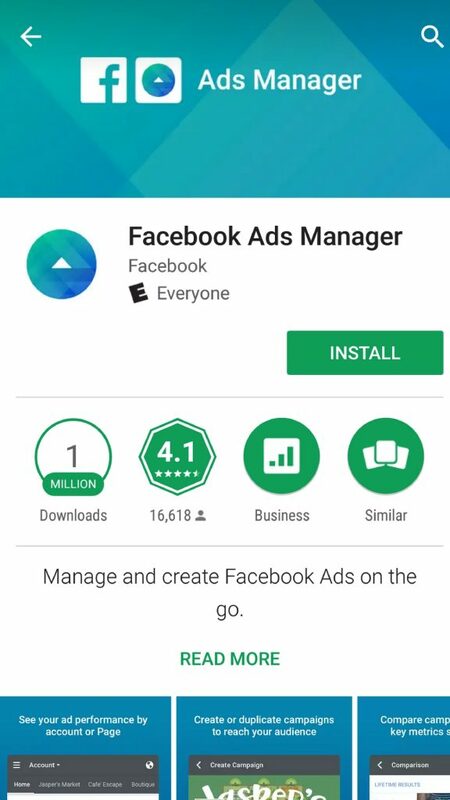 The Facebook Ads Manager app is available for iOS and Android and is a great way to create and manage your campaigns on the go. However, this app is not the same as the Pages Manager app. The Ads Manager app only allows you to manage your ad campaigns, boosted posts, and page promotions. You cannot manage your Facebook page content from the Ads Manager App. These things must be done in the Pages Manager app. 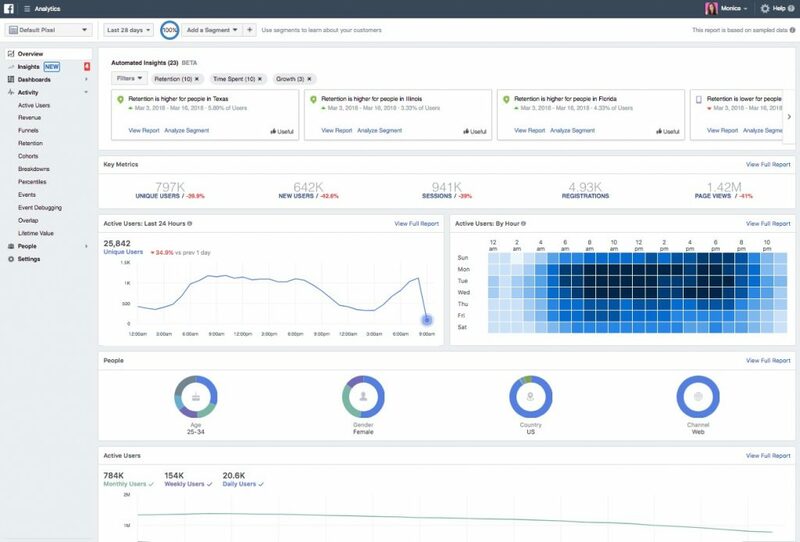 The Ads Manager app makes it easy to track the performance of campaigns, ad sets, and individual ads. You can also edit ad set budgets and schedules, and ad creatives. Android version pictured above. iPhone pictured below. This is one free Facebook analytics tool I use frequently to stay up-to-date on all of the campaigns for my clients! Choosing a captivating image for your Facebook ads can be one of the most time-consuming parts of creating your ads. You probably already have a pretty good idea of what you want your Facebook ad’s headline and copy to say, but finding that elusive perfect image can be more difficult. When creating your ad, you can upload photos from your computer, choose from photos you’ve used previously, or browse a library of free stock images provided by Shutterstock. Facebook's Asset Library of free stock images can help you avoid spending big money for high quality stock photos. 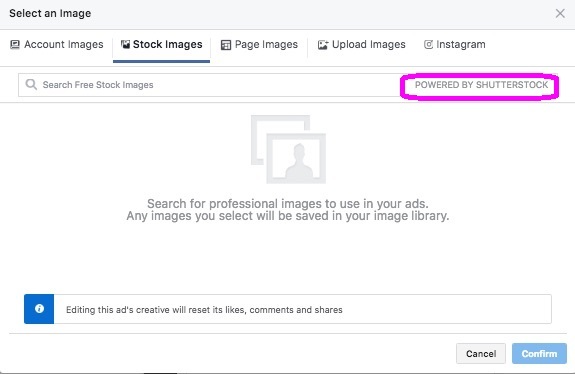 To find the free stock photos you can choose from, you’ll have to walk through all of the necessary steps to create your Facebook ad campaign, set up your ad set, and then you’ll begin working on your ad creative. On this step you’ll be able to enter your ad’s headline, copy, and image. Next you’ll see the options to use Account Images, Stock Images, Page Images, Upload Images, or Instagram Images. Just click on Stock Images and enter a keyword in the search box to get started. 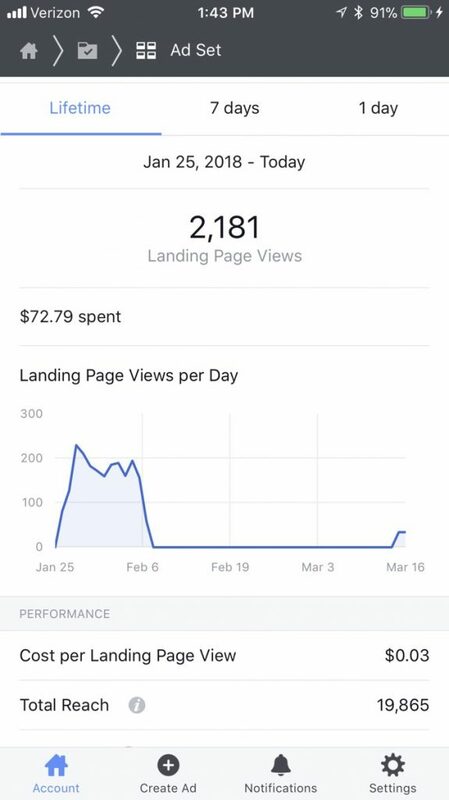 Although you can get away with trying and testing Facebook ads without spending any money, these free Facebook analytic tools can help. They can aid your Facebook campaigns to be successful so you can make the most of your advertising dollars. 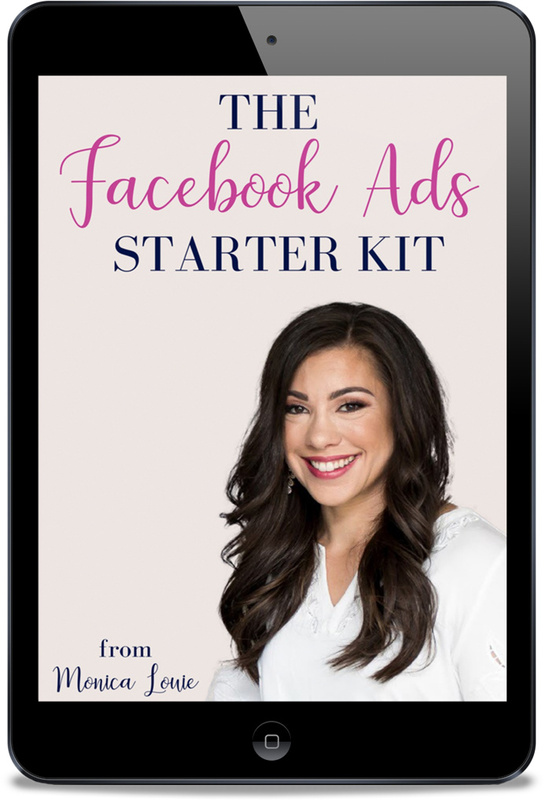 Now that you know the top seven free Facebook ad tools that can help you level up your marketing, I have another free resource you can’t live without! It’s my free bonus guide, 5 Questions to Ask Before Spending Any Money on Facebook Ads. Just click the download button below to access the guide for free! This is SUCH a helpful and content-rich blog post. Thanks so much for your time putting it together. I have used several of the tools you outline already, and I’m planning to share it with my group because I know they’ll benefit. Hey, Kat! Thank you so much for reading! I’m glad you enjoyed the article, and I hope you and your group find it useful!